I like to say," There's no such thing as a million-dollar idea, just million-dollar executions," by which I mean the quality of the final product is what drives its success. 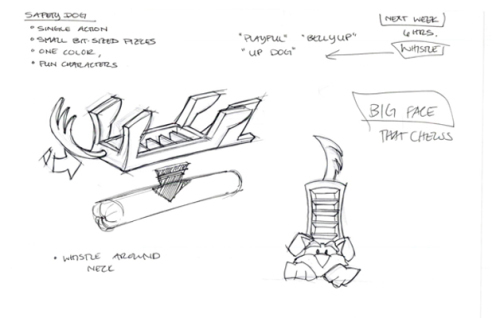 A new way to get a product to this "million-dollar execution" point is through prototyping. As I have been explaining, prototyping is an iterative process, with each round of prototyping getting the product developer closer and closer to the "final" product: The reason I put final in quotes is because a product is never truly finished; it just gets to the point where it is good enough to ship (that point should be a level of excellence). Once a product ships, it is almost always the case that consumers will find ways in which the product is flawed and could be improved. However, the goal is to get to market with the least number of flaws, and ideally none that significantly impair the functionality of the product. In order to achieve this goal, it is vital to have the right mindset and processes for evaluation of each prototype. So, here I will lay out some of the ways I have learned over the years to make sure I leave no stone unturned in our prototype reviews. First, I will address the mindset that is most successful for the evaluation process: perfectionism within reason. What does this mean? It means that ultimately you want your product to be excellent, because truly well-executed products will almost always do very well. Any corners that are cut, any weaknesses or failure points in a design will come back to haunt you later. It may seem like some characteristics are more important than others, but the truth is that they are all important. It is the "completeness" and integrity of a design that causes it to create passionate fans. Sub-par products do occasionally succeed, but more often fail. So, the goal is to be as close to perfect as is reasonable. What does "as is reasonable" mean? Perhaps you've heard the statement " The perfect is the enemy of the good enough." What this statement says is that if you relentlessly pursue "perfection" and never call the product done, you never ship the product and therefore you never get to generate income from it, which is required if you want to keep making product. So, at some point you have to be able to say "good enough." The problem is that most people set the bar too low because they are in a rush to get to the money. Money cannot be the goal. The goal must be an awesome product that generates passionate fans. Passionate fans will make sure you earn the money you want. There is no exact science to knowing where to draw this line, of course. It is a judgment call. However, this is what I can say: you must consider every facet of the product experience and make sure it is at least good, if not great, and the primary function must be in excellence. Otherwise, your product will likely fail. So, how do you make an evaluation? Start by working down the list of all the functions of the product, and then identifying which ones are the most important and which ones are less (secondary functions). Each of these functions should then be evaluated to make sure that it not only meets reasonable consumer expectations, but exceeds them, if at all possible. Sometimes you might find that your product is actually no better than existing solutions. This can be a buzzkill, but better to find out now than later. In order to test each function, it makes sense to spend a minute generating a test plan so you aren't just winging it. Make sure to test EVERY feature. A difficult-to-open battery compartment can ruin an otherwise awesome product. I absolutely love my watch, but I find the adjustment knob hurts my fingers, and diminishes the success of the design. The tests should ideally produce measurable results that can be used to generate a document that shows all the tests and results, so it can be applied to the next prototype. Some tests include: failure tests, focus group feedback, ergonomic checks, function performance tests (custom) and generally just fiddling with it until you get familiar with its quirks. Be careful, though, as some prototypes are fragile and easily break - though breaking a prototype is often a good way to figure out where it might break in real life. At least that's what I tell my designers when I break one of their prototypes! The primary function (or functions) of a product is of course the most important to nail, though sometimes it is not as obvious as you might think. Take, for instance, the Hot Dog Slic'R my company developed. 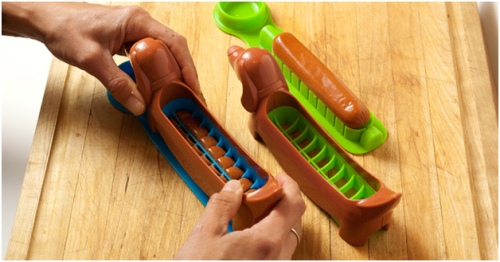 At first you might think its primary purpose is to slice hot dogs, but you would be wrong. 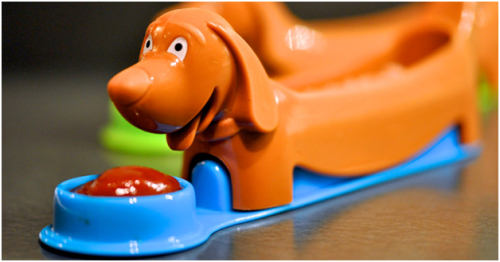 Its primary purpose is actually to make eating hot dogs fun and safe. The cutting is actually a secondary characteristic. Furthermore, there are numerous facets that get overlooked by beginners, so I will lay some out here: the feel of quality of the product, the aesthetics, the durability, safety, ease of use, ease of understanding how to use, obviousness of value, obviousness of function, attractiveness to target audience, presence of pinch points or other possible sources of harm, possible failure points or modes, drop survival (people will certainly drop it! ), appropriateness of materials and colors, how small it can be made for shipping, how durable it will be during shipping, how well it captures eyeballs on a crowded shelf, how amenable is it to the appropriate packaging, how much floor or shelf space it will take up at the store and in the home, and the overall impression of the device (meaning don't lose the forest for the trees). The prototype evaluation process is actually the reason we make prototypes, so please be sure to not shortchange this step. A lot of people gloss over it and take shortcuts to "save" money, but the biggest waste of money is to launch a product that is ultimately unsatisfying to the consumer. Take your time, be thorough, insist on perfection without being insane, don't skip steps and try to cut bait too soon, and try to enjoy it as a discovery process rather than a process where you feel like something went wrong if it doesn't work perfectly, as THAT IS THE WHOLE POINT, to find out what needs to be fixed in order to achieve your goal of an impeccably designed product. For more help with creating great prototypes for your product idea, connect with Chris Hawker at Trident here.